Exercise Like an Astronaut with Space-Age Whole Body Vibration Training Exercise! What is Vibration Training Exercise? Vibration training exercise, also known as whole-body vibration, is an exercise modality developed to prepare cosmonauts for their journey into outer space. Prior to embarking, Russian astronauts would train on vibrating plates to cause their bodies to undergo beneficial adaptations meant to combat the rigors of antigravity travel, such as loss of muscular strength and bone density. Non-astronauts soon caught wind of the benefits of vibration training exercise, and it has now become popular in gyms, wellness centers, spas, and salons. Vibration training is very effective for achieving certain goals, and many vibration plate training exercise practitioners swear by it. Several different body systems are involved in the beneficial physiological adaptations caused by vibration training: the musculoskeletal system including the bones and connective tissue themselves; the cardiorespiratory system including the heart, blood vessels, and breathing apparatus; and even the hormonal system. These systems dynamically interact to provide the necessary reactions to the new stimulus of whole-body vibration. Since vibration training comes with a high price tag, you may be wondering if it’s right for you. Read on to learn more about vibration training, including the science behind how it works, the benefits of vibration plate training exercise, vibration plate training exercise tips and safety guidelines, and information on how to find the best vibration plate. To perform vibration training exercises, you simply stand, kneel, or recline on a vibrating platform and perform simple exercises such as squats, leg lifts, cable pulls, and planks. The vibration plate sends smooth, repetitive, oscillating vibrations through your body that stimulate muscle contractions. This causes the body to perceive that it is being subjected to higher gravitational forces than you’d normally encounter on Earth. The body begins to adapt to the higher g-force setting by getting stronger, increasing bone density, and even setting off beneficial hormonal changes according to some sources. You don’t need to train with additional resistance since the body is being stimulated to increase strength through higher-than-Earth g-force rather than through additional weight. Note that many of these benefits are achieved through many other exercise modalities. The difference with vibration training exercise is that all these benefits are supposedly delivered through one exercise modality rather than in an integrated program including weight lifting for strength, yoga for flexibility, and interval training for cardio adaptations, for example. Vibration training may feel odd at first, but the vibration must be set to a certain minimal level to begin achieving the benefits of vibration training exercise. Remember that any form of exercise requires an unaccustomed demand to be placed on the body for beneficial adaptations to occur. And many people love how it feels! Start at lower settings for shorter sessions to allow your body to adapt gradually. Vibration training is different than traditional exercise modalities such as weight lifting, but it’s still demanding on the body, albeit in different ways. Certain levels of vibration have been found to be potentially harmful, but these studies have been done on people with occupational exposure to vibration day in and day out, such as bus drivers. According to research studies, vibration training for 30 minutes per session three times weekly provides the benefits of vibration training with negligible risk. What is the Best Vibration Training Exercise Machine? 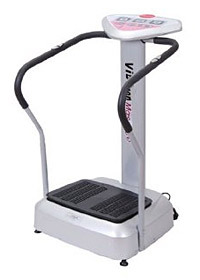 Vibration machines for home use run from around $200 for low-end models to $2000-$7000+ for commercial-grade models. The cheap ones, unfortunately, tend not to deliver enough amplitude to provide benefits. You’ll be better off investing in a more expensive model if you’re serious about getting the most out of vibration training exercise. A few of the more highly-respected manufacturers of vibration training machines are Powerplate, Hypervibe, DKN Technology, and Health Mark. I’m sure you’ll want to read lots of reviews and do plenty of your own research before investing in a vibration training machine. It’s understandable if you don’t want to foot the hefty bill associated with buying a vibration training machine for your home, or if you at least want to try it out first! Currently, there is no central hub for finding locations offering vibration plate training exercise, so I recommend doing a web search for “vibration training (your location)” to find sites near. Common places you might find vibration training machines and trainers able to instruct you include gyms, wellness centers, spas, and salons. 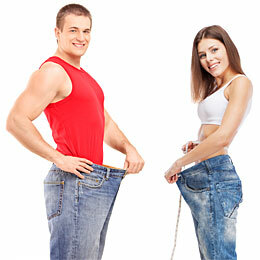 Vibration training can offer a welcome shake-up (pardon the pun) of your stale exercise routine. If you’re in the mood for something new, different, and scientifically proven to be effective, check out vibration training exercise today!